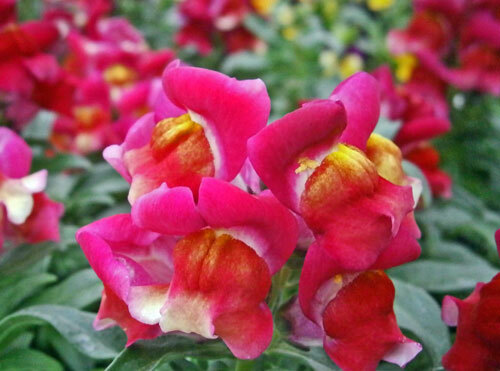 Snapdragons are one of our favorite annual flowers here at The Garden Center. We like to call 'em Snaps for short. Their arrival means that cooler weather is on the way! 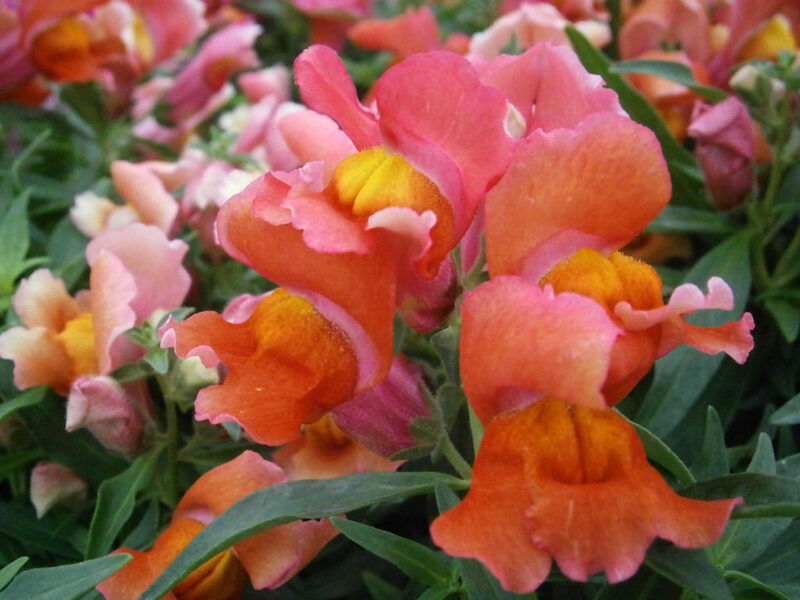 Snapdragons are named because of their resemblance to the face of a dragon that opens and closes its mouth when squeezed from the sides. 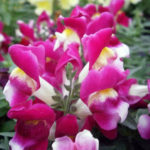 They come in almost every color except blue, making it easy to match any garden color scheme. Technically these plants are tender perennials, but most folks around here grow them like an annual. They often just don't bloom like they did on the first go round, even with pinching back and fertilizing. Sometimes it's just easier to start with a fresh plant each season. 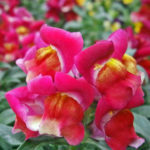 Snapdragons prefer cooler weather and start becoming available around the end of September. They typically will bloom and flourish until about April when it starts to get too hot for 'em. Sometimes they will reseed on their own, or you could collect the seeds and sow them yourself. 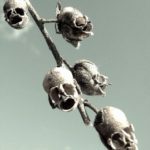 Have you ever seen the seedpods? 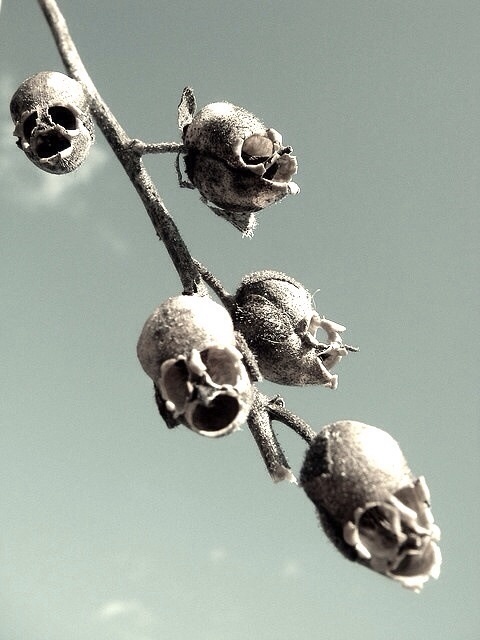 They look like creepy little skulls! 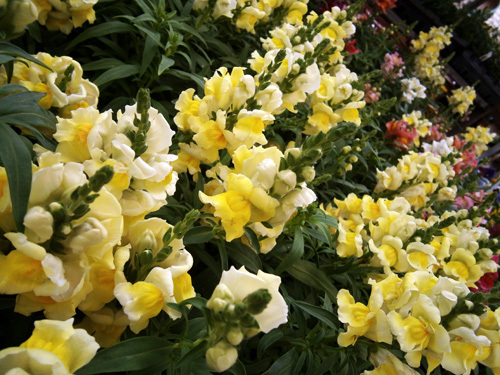 There are many different varieties of Snapdragons that grow to different heights. Some of the more popular types that we carry include Snapshot Dwarf, Liberty (taller) and Rocket(tallest!). Plant your Snaps in full sun to part sun, too much shade and they won't bloom as well. 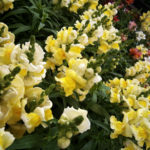 You can plant Snapdragons just about anywhere. Plant them in the ground or in containers. Try shorter growing varieties as a border, taller ones as a background for other lower growing winter annuals. 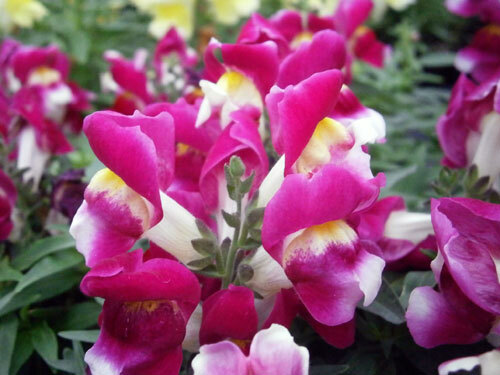 Water, deadhead and fertilize regularly for the best color and healthy plants. You'll have gorgeous color all season long!